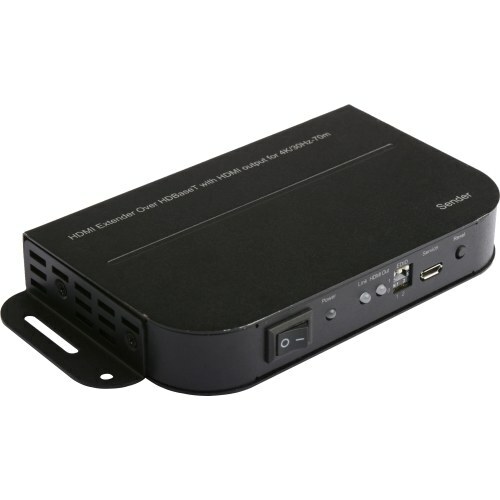 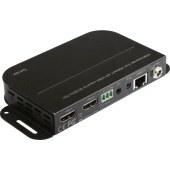 This product is a HDMI Extender based on the HDBaseT technology. 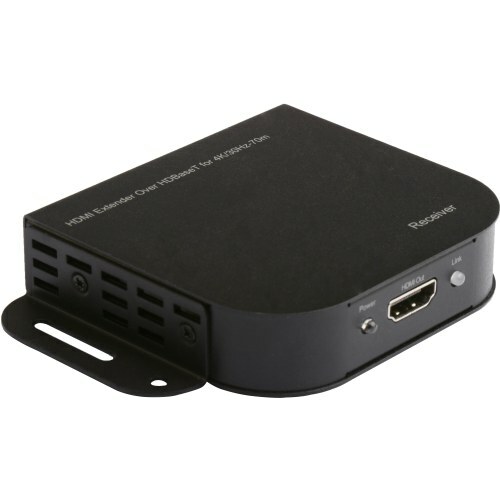 With one CAT5e/6 cable, it is able to extend your HD display with the resolution of 4K/30Hz up to 70 meters away from your HDMI source. 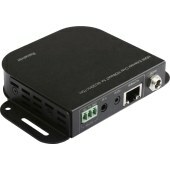 It can also extend the IR, RS232 signals by using the same Cat5e/6 cable meanwhile. Besides, the bidirectional IR function allows to control the source device or the display device from the remote side. It supports POC function so that you only need to connect a piece of 24V/0.5A DC power adapter to either Sender or Receiver.